Backflow prevention safeguards a community's drinking water supply by preventing dirty water from flowing backwards into clean water lines. The City of Bowling Green and surrounding communities within the Northwest Regional Water Sewer District have embarked on the challenge of meeting compliance standards set forth by the Environmental Protection Agency (EPA). Gearhart Plumbing Heating & Cooling is prepared and committed to helping you comply. 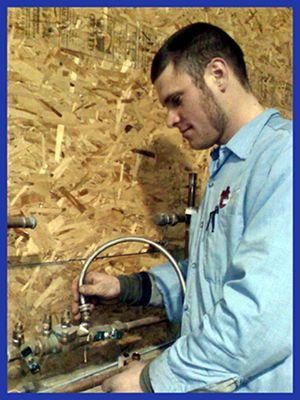 Gearhart's certified backflow testers are trained and can perform the required yearly tests with all required supporting documentation. All of us working together reinforce the message that Northwest Ohio embraces the challenge to maintain a safe water supply.